Hertfordshire is an affluent county north of London and in many areas the population commute to London during the week. Weekends are precious and gardening is a key hobby in this area. No wonder then that up-market Hertfordshire garden centres such as Van Hage exist alongside many other smaller garden centres. Our garden centre reviews are impartial and include the plants, cafe and other facilities available. Stepping outside of the interior sales area into the covered plants area in spring to early summer is an amazing experience at this nursery. You will see the largest selection ever of dahlias, fuchsias, geranium, hanging baskets, vegetable plants and other seasonal bedding that you have ever seen .... Click here for the full review. The plants area at Bickerdikes is the result of lots of effort and design. It's a very attractive area to wander around whilst selecting your plants. 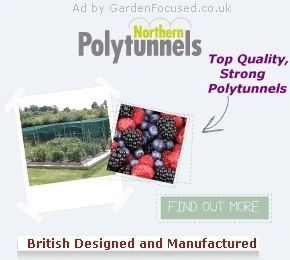 For a medium sized garden centre they have packed .... Click here for the full review. The plants all looked in excellent condition and Burston have a three year hardy plant guarantee should any of their hardy plants fail. The vast majority of the plants are grown in the UK and nearby Burston .... Click here for the full review. Carpenders Park Garden Centre was established in 1991 as a small nursery selling just plants. It is now a medium-sized garden centre selling all the gardening goods that the average gardener needs. Plants .... Click here for the full review. 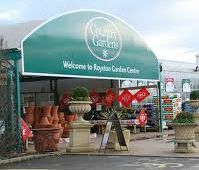 Codicote is a typical medium sized outlet of Wyevale Garden Centres garden centre with the plants being sourced centrally and supplied to all their branches. Hardy plants come with a five year guarantee. The layout of the .... Click here for the full review. Notcutts at St Albans have a largish plants area which is well designed and interesting. The surface is solid in almost all areas and easy to get round. Plant quality is good with plants being .... Click here for the full review. They are best known for their barbecues. Riverside are one of the largest stockists of Weber barbecues in the UK. All the barbecues that the company produces are on display as well as all the .... Click here for the full review. There has been a "garden centre" at the current site from 1981, the first one being a simple stall selling fruit and vegetables. The owners realised that there was considerable potential in developing .... Click here for the full review. Run by the current owners from the 1980s onwards the plants are attractively laid out and healthy with hardy shrubs benefitting from a three year guarantee. The choice of plants is good and sufficient for .... Click here for the full review. The Van Hage Garden Centre in Great Amwell, Ware won the 2010 Best Plant Area in the UK award from the Garden Centre Association. The area is indeed well laid out but best in the UK? Not in our opinion. We have .... Click here for the full review.